A NEW STATESMAN BOOK OF THE YEAR From one of our greatest living writers, comes a remarkable memoir of a forgotten England. 'The war went. We sang in the playground, "Bikini lagoon, an atom bomb's boom, and two big explosions." David's father came back from Burma and didn't eat rice. Twiggy taught by reciting "The Pied Piper of Hamelin", "The Charge of the Light Brigade" and the thirteen times table. Twiggy was fat and short and he shouted, and his neck was as wide as his head. He was a bully, though he didn't take any notice of me.' 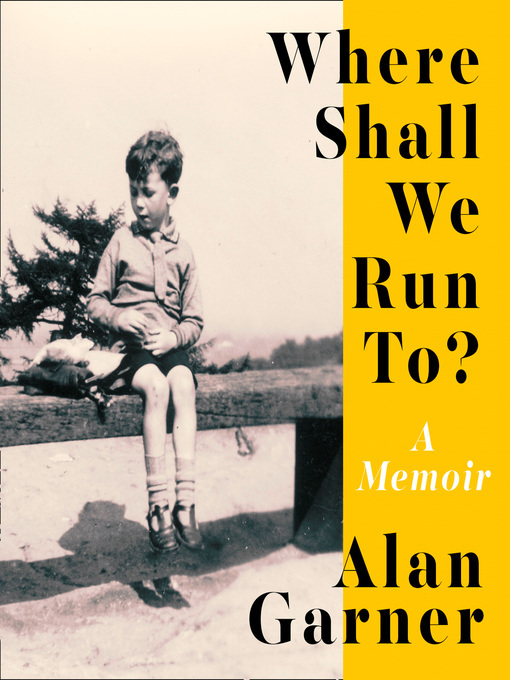 In Where Shall We Run To?, Alan Garner remembers his early childhood in the Cheshire village of Alderley Edge: life at the village school as 'a sissy and a mardy-arse'; pushing his friend Harold into a clump of nettles to test the truth of dock leaves; his father joining the army to guard the family against Hitler; the coming of the Yanks, with their comics and sweets and chewing gum. From one of our greatest living writers, it is a remarkable and evocative memoir of a vanished England.